Who funds the Canadian food movement? What does their research on the current national food landscape reveal? What do these funding organizations identify as future granting priorities? Stakeholders from the academic, agriculture, government, non-profit and private sectors contributed to Sustainable Food Systems: A Landscape Assessment for Canadian Philanthropy, a new report that seeks to answer these questions and others. Food Secure Canada particularly welcomes the key recommendations that speak to the need for long-term financing of policy and advocacy work, including a national food policy, and collective action towards a more cohesive Canadian food movement. The report by the emerging Canadian food funders group provides a very useful guide for Food Secure Canada members and others seeking philanthropic support. Nineteen individual funder profiles summarize the resources, sectoral interests and geographical focus of private, public and community foundations, networks of grant makers, and credit unions across Canada. They range from the Vancity co-operative credit union with billions of dollars in assets to smaller private foundations. For groups seeking funding, the profiles section (pages 23 – 41) could help to identify new potential funders and their specific interests, while the wider report could aid in situating individual requests within broader thematic priorities. 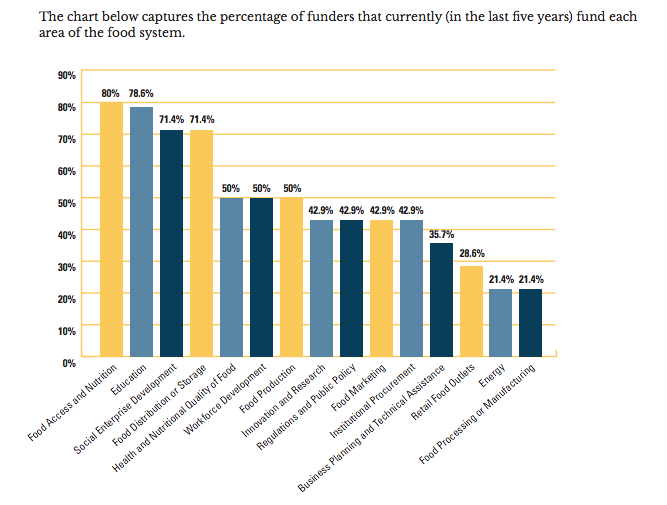 Ideally, the Canadian food funders group will continue and deepen such research, since a snapshot of a single year cannot show trends in funding behavior. 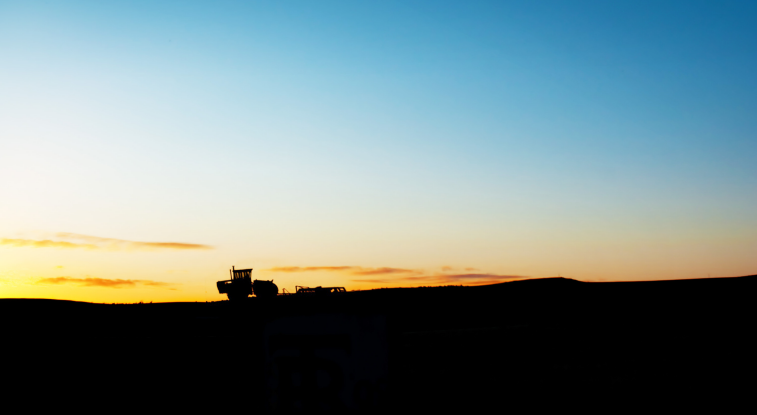 An understanding of the quantitative and qualitative shifts in donor performance would inform and guide the future lobbying efforts of Food Secure Canada and others, both nationally and locally. Fifteen interviewees, including Food Secure Canada Executive Director Diana Bronson, participated. The objective was not to find consensus but to illuminate complexity, entry points, levers and broad issues across all aspects of the Canadian food system, notwithstanding the relatively small size of the group. The report synthesizes the state of play in terms of Issue and Opportunities across six thematic areas, ranging from Policy and Advocacy to Indigenous Food Security and Climate Change. "In terms of specific windows of opportunity for policy development, some respondents suggested that the renewal of the Health Accord as well as the review of the Canadian Agriculture Policy Framework–in addition to the aforementioned establishment of a National Food Policy–are of critical importance to the vision of a sustainable food future in Canada. If created or revised using principles of sustainability and an integrated approach, [these] would represent significant wins for the food system”. Indeed, with the Trudeau government’s announced commitment to develop a new National Food Policy, FSC is developing an ambitious and participatory public engagement strategy. 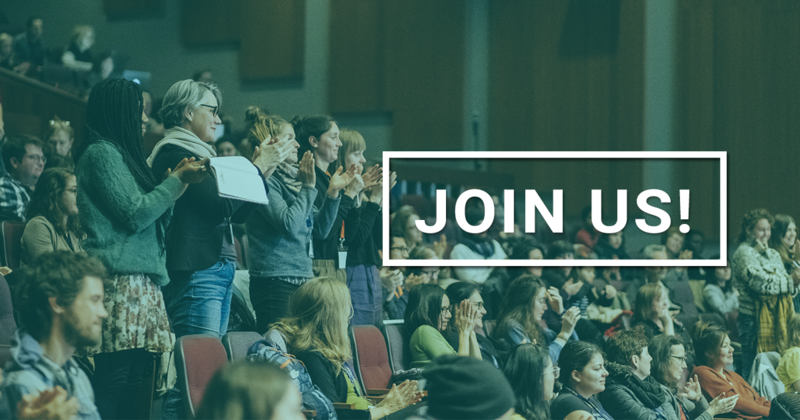 Opportunities to discuss and shape how Canadian food policy develops will be woven into the upcoming FSC 9th National Assembly in Toronto. The report concludes with some recommendations for how funders themselves should continue to learn and collaborate, strengthening the nascent Canadian food funders group. Although not directly referenced, this Canadian assessment mirrors an international publication from the Global Alliance for the Future of Food - Global Sustainable Food And Agriculture: A Philanthropic Landscape Assessment (2015). Another national perspective on Canada’s food movement comes from the Vital Signs reporting platform of the Community Foundations of Canada. Fertile Ground: Sowing the seeds of change in Canada’s food system (2013) provides international and national context to introduce local community foundation supported activities. Taking the pulse of community foundation food activity across Canada (2015) surveys what community foundations do and why. This report explores the current Canadian food system and highlights key opportunities for funders to support work to drive significant and systemic impact in this field. - Susan Alexander is a communications specialist, currently putting down roots in the Montreal food movement. - Salma Khalil is a recent graduate in microbiology and food science who is passionate about the growing food movement in Canada.